In this Sunday, Nov. 22, 2009, file photo, Artist Whitney Houston performs onstage at the 37th Annual American Music Awards in Los Angeles. Houston died Saturday, Feb. 11, 2012. Houston was a double-threat entertainer: a preternaturally gifted vocal talent and a magnetic, charismatic silver screen presence. Over the years, Houston amassed a global following that included more than a few admiring entertainment industry peers, colleagues, and collaborators. After news of Houston's death first broke, Hollywood's luminaries and media notables took to Twitter, issued statements and in some cases, halted their own performances to say goodbye to their role model, inspiration, and friend. And the reactions are still pouring in. Elton John: This is a sad day today, all I want to talk about is her music. She was the most beautiful woman I think I ever saw .... Thank you for giving us your talent, and one of the most beautiful voices I've ever heard. (From the stage at Caesars Palace in Las Vegas, before dedicating the son "Don't Let the Sun Go Down on Me" to Houston. )—From the stage at Caesars Palace in Las Vegas, before dedicating the song "Don't Let the Sun Go Down on Me" to Houston. Cee Lo Green: R.I.P. Sister WHITNEY HOUSTON!!!!! We will always love you. Dolly Parton: Mine is only one of the millions of hearts broken over the death of Whitney Houston. I will always be grateful and in awe of the wonderful performance she did on my song and I can truly say from the bottom of my heart, Whitney, I will always love you. You will be missed. Linda Thompson: I was blessed to have the opportunity to work with and get to know Whitney when I wrote the lyrics for "I Have Nothing" ... Whitney was not only brilliantly talented, she had a kind and generour heart. She was gracious to everyone she met, making them feel important no matter their station in life. Jermaine Dupri: OMG!!! Whitney Houston died, No way !!! Lionel Richie: I am devastated by the loss of Whitney. We have lost a true angel. My prayers, my heart goes out to her family. We have lost an extraordinary voice to the world. John Legend: I hope the Grammys can put together a tribute at the last minute. Randy Jackson: wow I am devastated. the world has lost another one of the best voices in history. RIP whitney houston. Rosanne Cash: God, I'm sad about Whitney Houston. That kind of voice is a major gift to humanity. I hate drug addiction with all my heart. Barbara Streisand: She had everything, beauty, a magnificent voice. How sad her gifts could not bring her the same happiness they brought us. Tony Bennett: Whitney Houston was the greatest singer I've ever heard and she will truly be missed. MC Hammer: Whitney Houston, I will always miss you[,] I always loved you and my heart grieves for my sister gone to[o] soon. Smokey Robinson: I've known Whitney since she was a little girl and I loved her. She was like family to me. I will miss her. Barry Manilow: I can't believe that Whitney is gone. My heart goes out to her family, to Clive (Davis), and to everyone who knew and loved this amazingly talented and beautiful artist. I will always love her. Liza Minnelli: My friend Whitney sang better than anyone. She was magnificent. She gave us everything she had. May she rest in peace and may we let her memory rest in peace. Tommy Mottola: Without a doubt, her voice, for me, and for the world, was the gold standard. She had it all, she broke all barriers. Enrique Iglesias: My thoughts and prayers go out to Whitney and her entire family. Working with her is an experience that I will cherish forever. An outpouring of grief also came at an annual pre-Grammy gala hosted by Houston's former mentor and producer, Clive Davis. 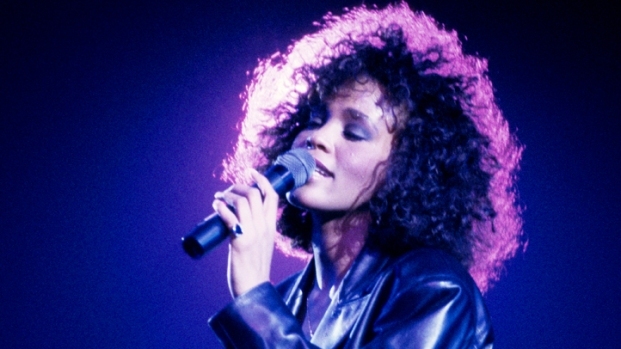 Oprah Winfrey: To me Whitney was THE VOICE. We got to hear a part of God every time she sang. Heart is heavy, spirit grateful for the GIFT of her. Patton Oswalt: We watched this happen in super-slow motion. Horrible. Paris Hilton: So sad to hear the news about Whitney Houston. :( She was such a beautiful and talented woman. My heart goes out to her family." Carson Daly: Sick to learn of Whitney Houston's passing. On Clive Davis's big night. Prayers to her family. So sad. Piers Morgan: Still can't quite believe this - interviewed #Whitney 's mentor Clive Davis only last night, talking about her incredible talent. Simon Cowell: I am so sad to hear about Whitney. We have lost one of the greatest singer of all time. Ryan Seacrest: At Grammys rehearsal hearing Whitney Houston has passed away at 48. Everyone here is absolutely stunned. Rosie O'Donnell: Dear God ... There is a grief that can't be spoken. Rev. Al Sharpton: I am deeply saddened hearing of the death of Whitney Houston. I am trying to reach her mother. Unbelievable! Los Angeles Mayor Antonio Villaraigosa: Her music inspired millions and the power of her voice was hard to match in its depth and crystalline beauty. Mariah Carey: Heartbroken and in tears over the shocking death of my friend, the incomparable Ms. Whitney Houston. (And later:) She will never be forgotten as one of the greatest voices to ever grace the earth. P!nk: Whitney was the reason many of us do what we do. India Arie: I think her contribution was her excellence of all levels. She was outstandingly gorgeous, an excellent performer ... Excellent vocalist. She was excellent on some many levels, and set the standard for what it is to be a great female artist. Magic Johnson: R.I.P. Whitney Houston. Our prayers go out to Bobbi Kristina and her family.